The teaser of Zoya Akhtar’s next Gully Boy starring Ranveer Singh and Alia Bhatt dropped today announcing January 9 as the trailer launch. 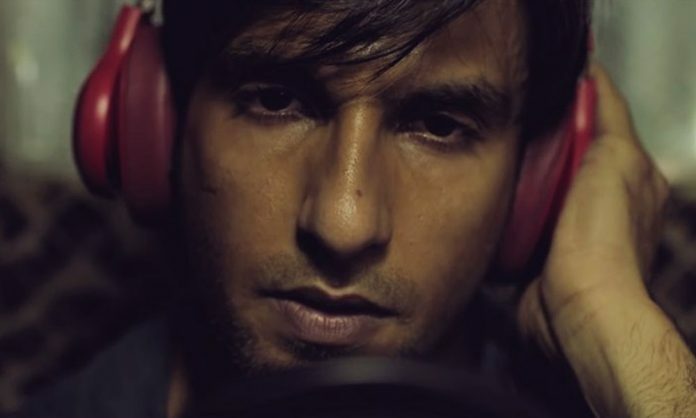 Featuring a rap performed by Ranveer, several celebs have applauded the song Asli Hip Hop. Asli talent ki vulcano #ZoyaAkhtar with apna dil ka raja @RanveerOfficial & mini meryll @aliaa08 produced by the Maverick trendsetters @FarOutAkhtar & @ritesh_sid cannot wait for Valentines Day cause it’s a date with #GullyBoy !!! Shankar Mahadevan said ‘Looks Amazing!!!!! This is insanely awesome! FIRE!! Well done Zo #ZoyaAkhtar. The rap and the video take us through his journey from being a rowdy from a chawl, who utilized his talent to become a renowned rapper. Gully Boy is Ranveer’s second collaboration with Zoya. The first movie they had worked on together was ‘Dil Dhadkne Do’. The film stars Ranveer Singh and Alia Bhatt in the lead role. Slated to release on 14th February, Gully Boy is directed by Zoya Akhtar and is produced by Excel Entertainment. The Movie has a lot of rappers as the video is composed by Spitfire, the video also features other singers D’Evil, Nexus, Rahul Raahi, Emiway Bantai, D-cypher, BeatRAW and Big Sid. Director Zoya Akhtar will portray the story of real-life rapper Divine, played by Ranveer Singh, in the movie which also stars Vijay Raaz as his father. The trailer of the same will be out on 9th January 2019. Previous articleRadhika Apte On Rewriting The Rules, Graces The January Cover Of Harper’s Bazaar India!